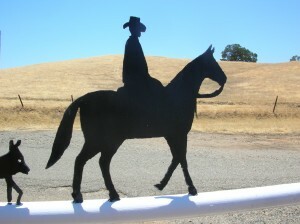 This entry was posted in Ancestors, Travel and tagged bitchin' ol' boomer babe, Bitchin' Ole Boomer Babe., BOBB, Bobbi Rankin, boomer, country, cowboy, horse ranch, horses, story telling, storytelling. Bookmark the permalink. Geat story, Bobbi. Having grown up in the hill country of Dunlap I know just how you felt. My memories of the sheep, cattle, hay and barn are forever in my senses. Going to Fresno on Saturdays was my adventure trip–even though carsick on the waydown and back, it was good. The farmer’s market with BARRELS of olives!!!! I think I must start on my life adventures soon. Yes Barb, those memories seem to never go away. I’m amazed that smells can evoke memories too. Thanks for your response and sharing. I vaguely remember going to Uncle Bill’s ranch, to me he was grand uncle Bill – my maternal grandmother’s older brother. The visit’s I remember would have been many years later, when I was very young. I don’t remember the car ride nor the sites and smells. I only remember the horses and getting to sit upon one or two of them. Bluebell, one of Uncle Bill’s smaller horses was kind of grayish blue in color, speckled with other colors. I recently was given a copy of an old picture dated Feb 1965 (I was age 6) which includes me sitting atop a large brown horse of uncle Bills. Other’s in the picture include, uncle Bill and the three sister’s, my auntie Sara, my mother Sue and my auntie Roberta. I have many fond memories of uncle Bill. He used to bring us, my brother and I, real silver dollars from Reno, Nevada. I was always very happy to see him. He always had a friendly smile and a little something for my brother and I, a gift. I have one of his hats, and a pair of his boots. Maybe the hat that Roberta/Bobbie remembers. Yes Lisa, I too have seen the picture of you on his bigger horse, Tony. No one could ride him but Uncle Bill. I think the hat and boots were in Nena’s possession for awhile. Thanks for your reply and memories. Thank you Carole, for the awesome encourgement. I’ve enjoyed writing about family and will continue. We all have stories tucked away waiting to be brought forth.